Lawsuits claim several banks went out of their way to charge maximum fees for overdrafts when debit-card purchases exceeded balances. Major banks lost a bid to quash lawsuits questioning the way overdraft fees were calculated and charged. The lawsuits from around the country, consolidated to federal court in Miami, claim that banks went out of their way to charge excessive fees when debit-card users made purchases that exceeded their checking account balances. U.S. District Judge James Lawrence King on Thursday dismissed the banks' request to throw out the lawsuit. 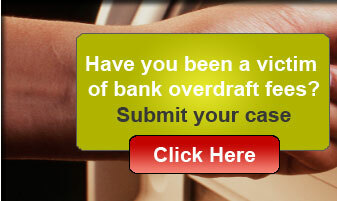 Banks had argued that customers did not have a right to sue them over overdraft fees. Some of the banks named in the suit are Bank of America, Citibank, JPMorgan Chase, Union Bank, U.S. Bank, Wachovia and Wells Fargo. Banks, the suit says, would wait to process charges until days after a purchase was made, when users' accounts were depleted. Or charges would be manipulated so that a large purchase that would deplete an account would be processed first, triggering overdraft fees on smaller buys made beforehand. If a checking account contained $100, and a debit-card user made purchases of $20, $30, $40 and $90, in that order, they should have only incurred a single fee for overextending their account -- on the final $90 purchase. At that point, their account would have only held $10. Instead, he said, banks reordered cardholder transactions, subtracting $90 first, then the rest of the charges. Then customers would be hit with a $35 overdraft fee three times, instead of once. ``They unfairly manipulated transactions to generate more overdraft fee revenue than they should,'' Gilbert said. Overdraft fees have been a lucrative source of income for banks. The nonprofit Center for Responsible Lending reported that banks and credit unions collected almost $24 billion in overdraft fees in 2008, and income from these fees rose 35 percent from 2006 to 2008. ``We disagree with the plaintiffs' allegations. We believe the way we process transactions is appropriate, and we will vigorously defend this case,'' said Kathy Harrison, corporate communications manager for Wachovia in Florida, which is owned by Wells Fargo. Gilbert said Thursday's ruling was major progress for the case. ``It doesn't say `You win.' But you get to pass go,'' he said. Now, the attorneys will work to have their cases become a class-action lawsuit and look for evidence to support their claims. Federal Reserve rules adopted last fall ban banks from charging the fees unless customers request overdraft protection. The rules don't take effect until July. Earlier this week, Bank of America said it will go beyond those rules: Debit-card purchases will be declined if an account doesn't have enough money. If customers try to withdraw more than their bank balance at an ATM, they will have to agree to pay a $35 overdraft fee to get the money. The lawsuit targets only overdraft fees charged to debit-card users -- not for customers charged the fees from writing checks. The hiring of a lawyer is an important decision that should not be based solely upon advertisements. Before you decide to hire an attorney ask for free written information about our qualifications and experience. A BANK OF AMERICA CUSTOMER. How much in fees were you charged? Did you get the fees reversed? Has the bank re-orderd transactions? © 2010 Kopelowitz Ostrow. All Rights Reserved.